Just to advise that I'm planning a paddle with a friend of mine tomorrow, in Poole Harbour - if you are around, you're welcome to join us! 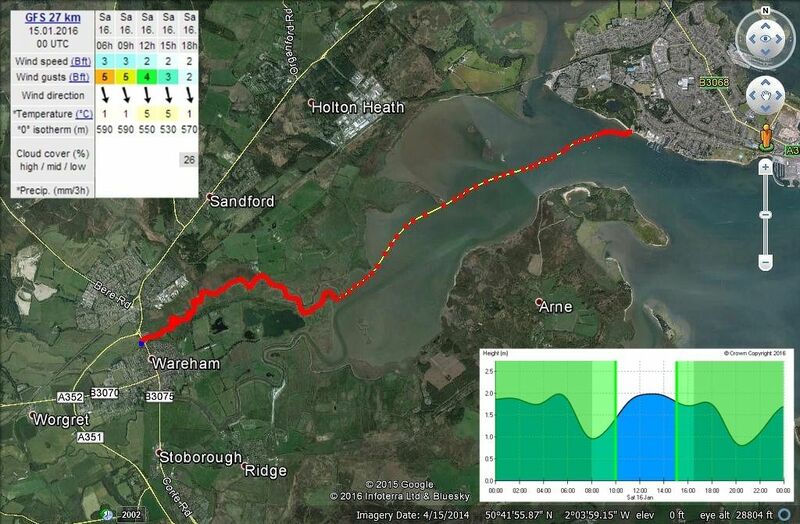 Plan is to meet at Lake Pier at 09:30 (BH15 4LR - aim for 99 Lake Drive), where there is a large free car park and toilets, to be ready to paddle at 10:00. We will be heading up to the Western end of the harbour and exploring the River Piddle, which will take us up to the North Walls of Wareham. It will be a relaxed paddle, and is open to canoes and kayaks alike. Total distance is likely to be around 10 miles. Wind is forecast to be F3 gusting F4, but diminishing and the weather is looking good. Please bring plenty of warm clothing and hot drinks - it's going to be a cold one! We plan to be off the water by 3pm at the very latest.